We have all the information you need to know for your trip, from helping with visa queries to walking you through a placement induction on your first day in Fiji. Our hassle-free approach means you can concentrate on what really matters, making a difference at your placement. A Projects Abroad staff member will be there to meet you when you first arrive at Nadi Airport (NAN). It’s only around a 15 minute drive to the centre of Nadi, where our office is based. The cost of your airport transfer is included in your initial project fee, so you don’t need to worry about extra expenses. From the airport you will be taken by taxi to your host family home. You can relax here and unpack before being picked up again later to complete your induction. You’ll have your induction in the Projects Abroad office and around your local area (a time will be confirmed with the local staff once you arrive). If you’re going to be based at our Conservation Project in Pacific Harbor, then depending on the time of your arrival, you may stay the night in Nadi at a local host family. A member of staff will then collect you the following morning and put you on the bus to Suva. If you arrive on an earlier flight, then you will be put on the next available bus to Pacific Harbor. Our staff will meet you at the bus stop, and take you to your accommodation. You will receive a visa on arrival if you stay 14 days or shorter. In terms of visa extensions, you will need to pay $87 for stays between 15 - 90 days, and $217 for stays between 91- 180 days. On your first day, you’ll receive a useful orientation to your new home town. Local staff will show you around the surrounding area, and explain how to use the public transport. They’ll also take you to buy a local SIM card or exchange money if you need. 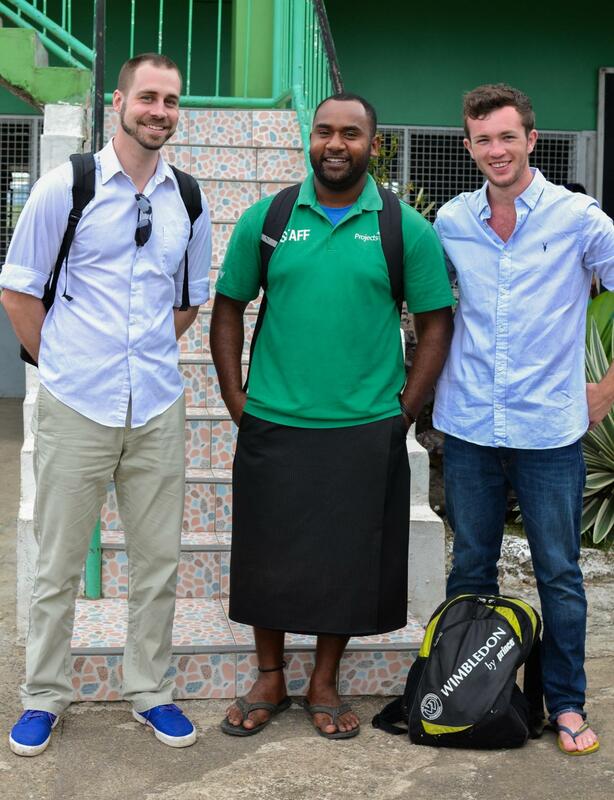 You’ll get the chance to visit our local offices, and find out more about how we run our different projects in Fiji. We will give you an induction pack, which includes useful information such as maps of where you will be living and safety information. As a new volunteer, you’ll receive plenty of guidance on your first day. In fact, your placement duties won’t begin until day two. When you arrive at your placement for the first time, you’ll be shown around and get to meet the people you’ll be working with. It’s important that you’re prepared, which is why you’ll get to see exactly how the placement is run, and what a day at the project looks like.